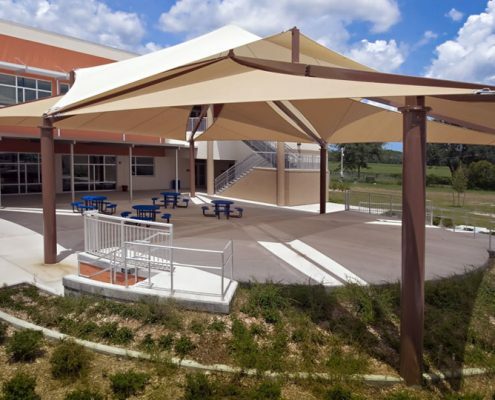 Shade Systems – manufacturer of outdoor fabric shade covers, sun shade structures, canopies, tents, commercial umbrellas, and shade shelters. 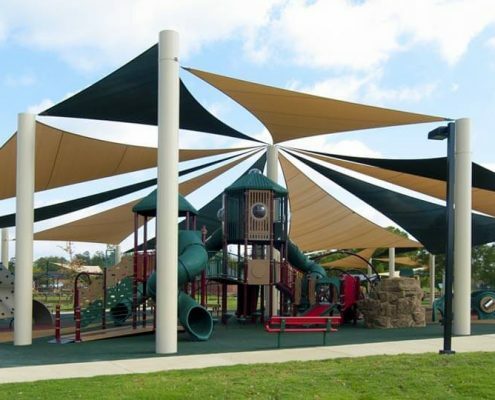 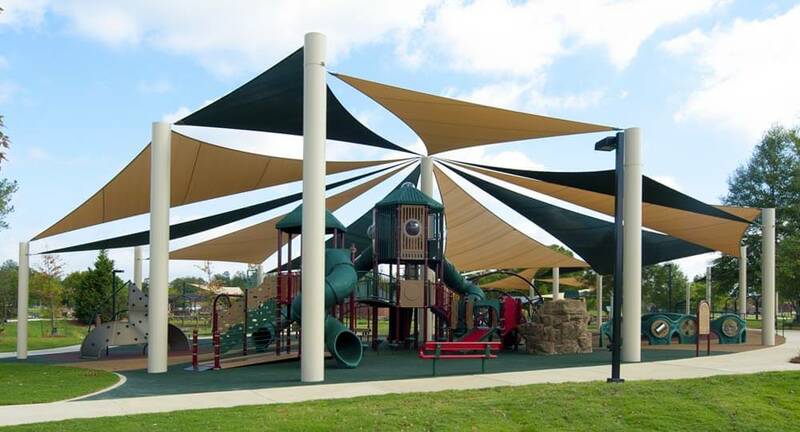 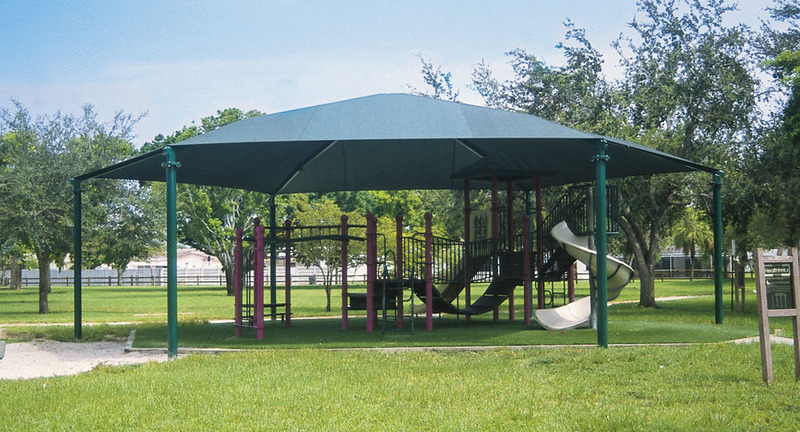 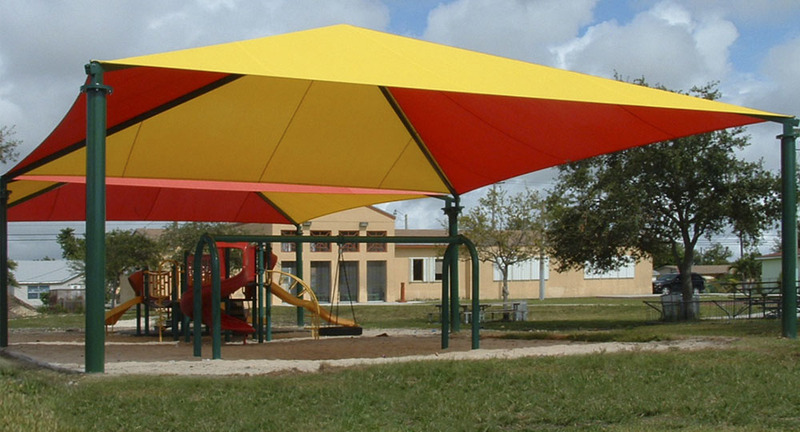 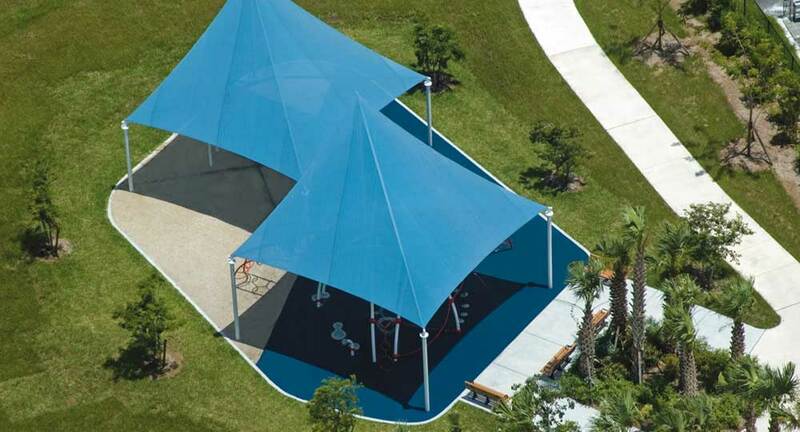 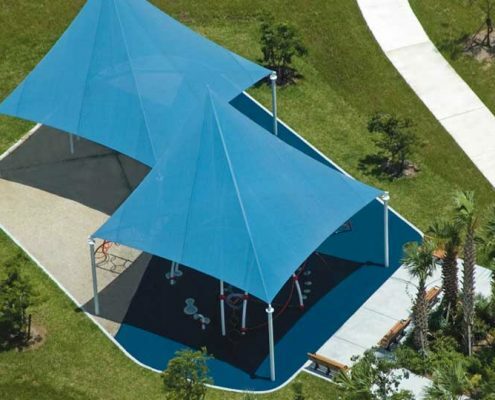 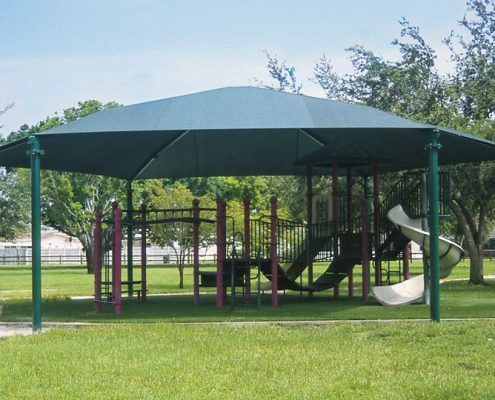 Shade Systems fabric shade structures, covers, tents, awnings, umbrellas, and shade canopies are perfect for playgrounds, pools, schools, and other outdoor spaces where people and children seek protection from the sun’s harmful U.V. 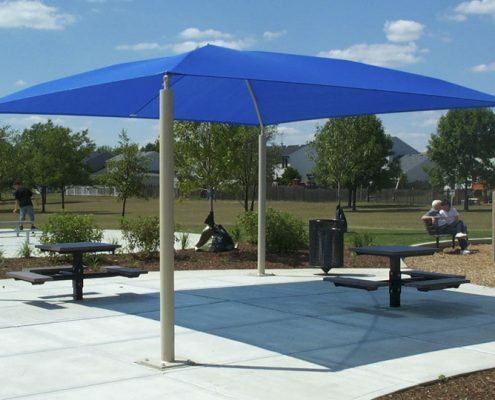 (Ultra Violet) rays which have been shown to cause skin cancer. 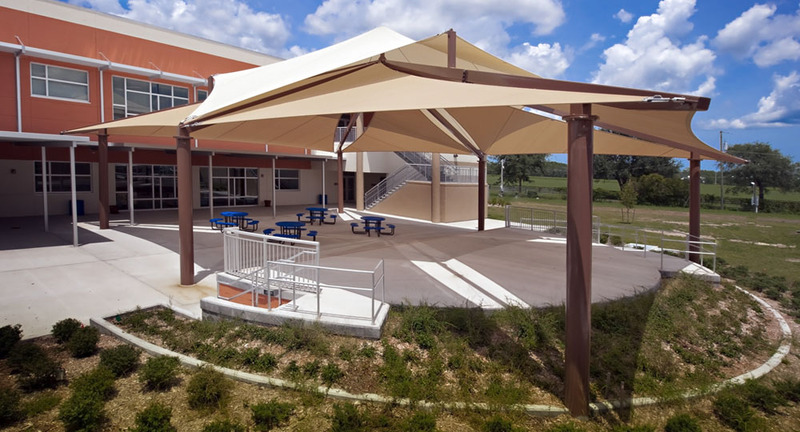 Our fabric shade structures and canopies are more affordable than traditional metal or wood shelters, and offer more versatility with attractive colors and virtually endless design possibilities. 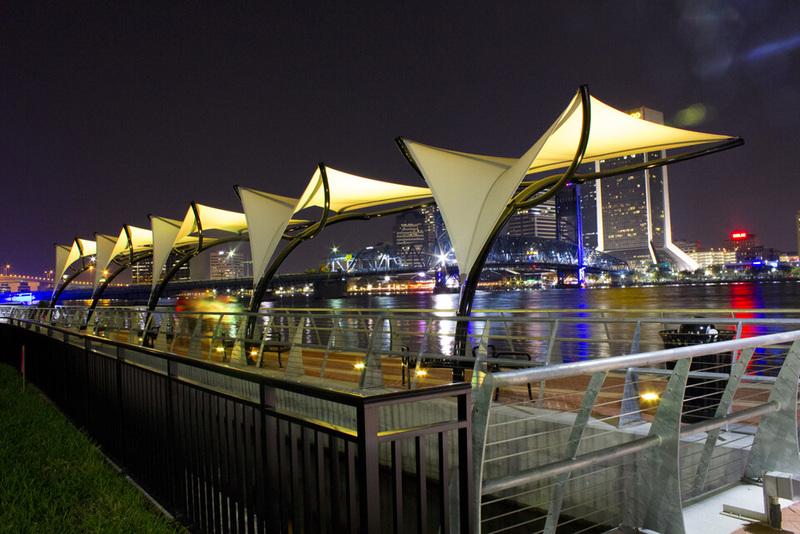 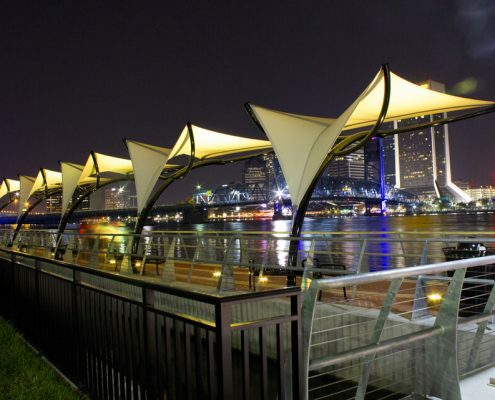 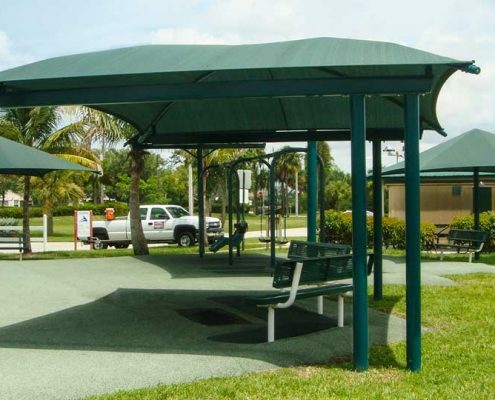 Shade Systems shade structures feature a sturdy hurricane-rated metal frame and code-compliant commercial strength fabrics. 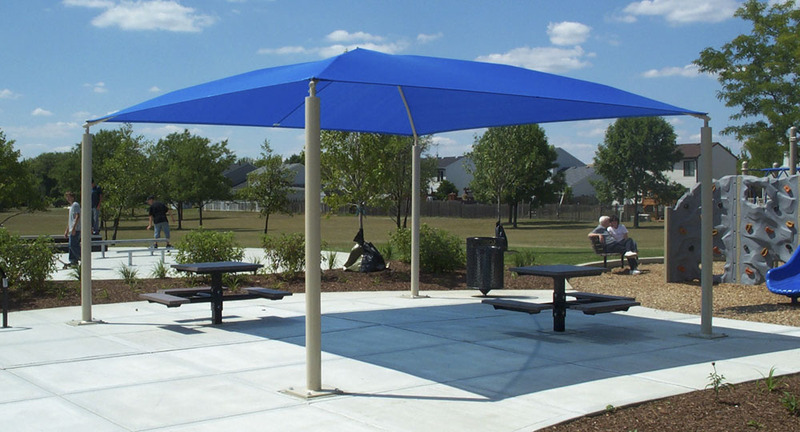 The remarkable CoolNet™ fabric canopy on our products screens up to 99% of the sun’s ultraviolet rays, allowing children and adults to linger outdoors for extended periods of time safely. 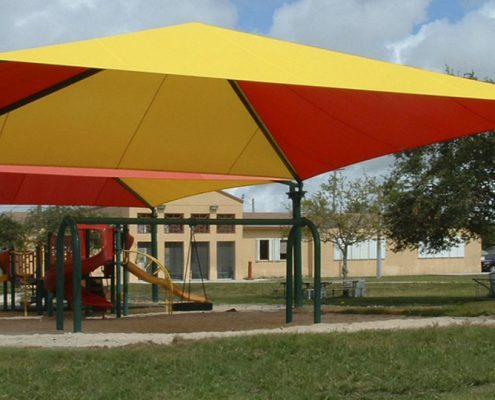 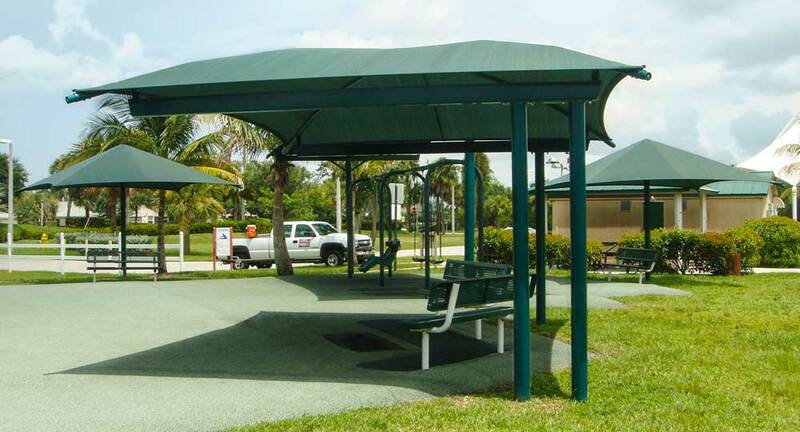 Shade Systems can provide shade and sun protection over playground equipment, bleachers, concession areas, pool decks, parking lots, water parks, vehicle parking areas, and any other outdoor gathering places.